Bizarrely, it took her mom ages to realise what she had done! 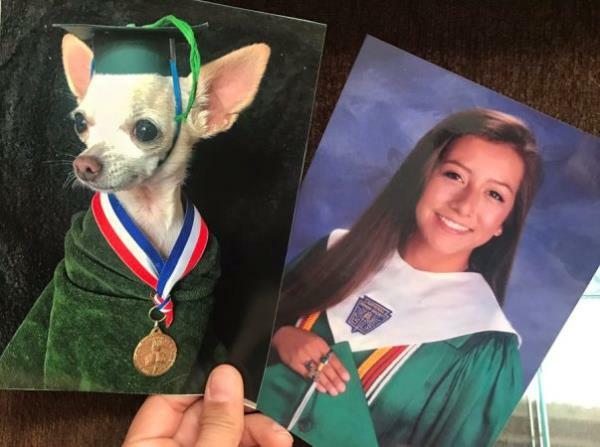 In a hilarious prank on her mother, a girl decided to recreate and replace all of the family pictures in their home with photos of her adorable dog. Marissa Hooper replicated her graduation picture, a childhood snap of her older sister and a photo of her grandmother during her younger years. And the results were brilliant! The idea came to the 21-year-old one day while she was hanging out with her sister in the family’s home in Waxahachie, Texas. Her sister asked what the purpose was of all the pictures adorning the walls and it was then that Marissa got the idea to replace them with her seven-year-old dog, Dixie. “My family loves to joke around and so I took it a step further thinking if I made the pictures similar at first glance, they might actually be hard to notice,” Marissa told Metro.co.uk. But it took her mother quite some time to notice the changed pictures. 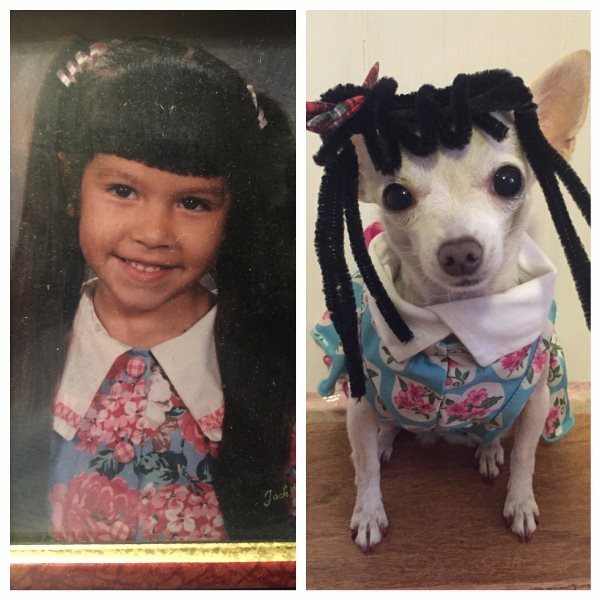 “It took her about 2 weeks to find the first set, which was my grandmother and my sister’s kindergarten picture. “Embarrassingly, she found it while company was over and knew immediately it had to be one of us playing a joke on her! It only took her about two days to notice the second time and that was Dixie in a graduation cap. “My sister and dad loved it. 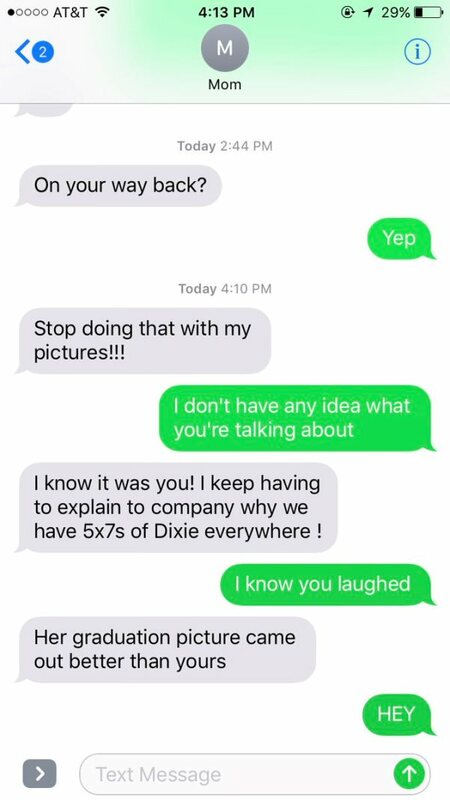 And my mom, although not a fan at first, eventually came around and admitted how cute Dixie looked in some of the pictures.” Marissa shared the pictures, as well as her mother’s messages soon after discovering the prank, on Twitter – and people loved it! Her tweet garnered more than 31 000 retweets and close to 75 000 ‘likes’.